In this edition of the RGT Guitar Tutor Interview Series, we are sitting down with guitarist, educator, and recording studio owner, guitar tutor Michael Clarke. With more than 30 years of bass, guitar and studio techniques training under his belt, Michael is recognized as one of the most experienced RGT tutors in the North Wales area, as he works with students from the initial stages to Grade 8 level in his teaching studio. To learn more about Michael, his teaching and recording studio, please visit the Michael Clarke Studio Homepage and the Michael Clarke Studio Facebook Page. RGT: How did you become aware of RGT, and why do you chose to encourage your students to take RGT guitar exams? Michael Clarke: I found out about RGT through various music press sources. At around the same time, I was approached by another exam body to use their syllabus in my teaching. But, I found that the other program was lacking, and so I started to investigate RGT. From there, as they say, I have never looked back. As for encouraging my students to take exams, I put the idea forward in the first free lesson, which I offer to each new student, and make sure that they know that exams are fun and attainable, and that they are made to feel the option is theirs when choosing to do the exams or not in our study together. I also use student recordings; some as young as 7 years old who have distinctions at various grades, in order to show new students what is possible if they want to follow the same path and take RGT exams themselves. Michael Clarke: Two things often stand out to me in this regard. Firstly, students who either think they should be taking a higher grade than I would suggest or the grade I suggest is too high for their current ability. Secondly, maintaining continuity in their practice schedule that does not get in the way of schoolwork, extra curricular activities and other related matters. RGT: Most students, if not all, deal with nervousness on some level either before or during their exams. How do you address this issue with your students in their lessons? Michael Clarke: One of the main objectives when setting up my teaching studio over 30 years ago, was to appeal to anybody who wanted to play guitar or bass regardless of their experience or playing ability at the time. Because of this, I have always done a first lesson free in order to put prospective students at ease. As they are coming into what can be an intimidating environment, my job is to put them at ease, usually with my famous, or sometimes infamous, sense of humour. Judging by the length of time I have been teaching and the reviews on the website I get from current and former students this approach seems to work. I also feel that I need to get to know the personality of a student so I can teach them to the best of my ability, and as such know how to focus in on items like nervousness quickly and effectively in our lessons. This then means that when they take the exam grades, they treat them exactly the same way they are taught in the studio with excellent results. 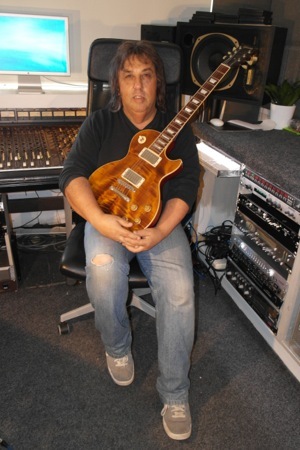 RGT: As well as being an accomplished guitar tutor, you also run Michael Clarke Recording Studios. How did you come to open the studios, and do you find that your studio and teaching careers are separate, or do they intertwine from time to time? Michael Clarke: The two sides of the studio run together brilliantly. The engineer here, Stephen Butler, originally came to me as a guitar student. When I found out that he had studied and got a degree in music production, and that we had exactly the same outlook in regards to recording, we recorded a couple of tracks and it just gelled from there. In the two years that we’ve been working together, we’ve built up a large client base of artists, as well as many students who I teach using the recording studio as well. Another thing I always wanted to achieve, was to bring as many related services under one roof as possible. This is always being added to as can be seen from the website, the online tuition, E-books etc., being rolled out shortly for students who can’t travel to the studio because of distance. The Open Days I run each month give somebody the opportunity over a coffee to find out what is going on in the studio face to face, and these days are always very well attended. RGT: You have recorded a number of Backing Tracks in Blues, rock and Acoustic styles. What was the inspiration behind these backing track collections, and how have they been received by your students and other tutors? Michael Clarke: Many students asked if the backing tracks were available to take away after our lesson, so Stephen and I rerecorded them, uploaded all the information to the website and they have been a huge success. The format of having the full mix, your instrument with click and your instrument with no click, is really useful for students to get a phrasing/timing perspective. Some students have used them to record over themselves, and then brought them back in for evaluation so that they can see their progression week to week. I also use them extensively to prepare students for the lead playing section with RGT Exam Grades. Michael Clarke: Be prepared for student’s insecurities and more than anything else, patience. There are going to be great weeks and not so great weeks, and students need to know that passing the exam and getting the grade is as important to you as it is to them. 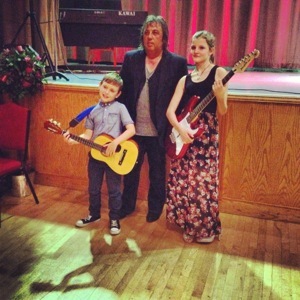 This entry was posted in RGT Teacher Interviews and tagged guitar tutor interview by Alan. Bookmark the permalink.